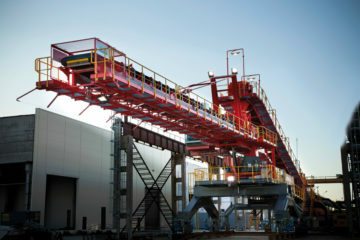 HS400 Stacker is standardized for stacking applications. 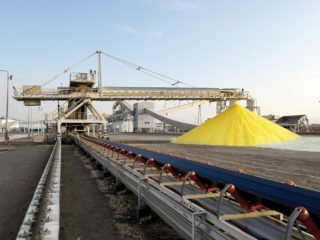 It can be used in ports, power plants, stock yards and mines for stockpiling purposes. HS400 Stacker is designed according to International Standards for Mobile Machines. 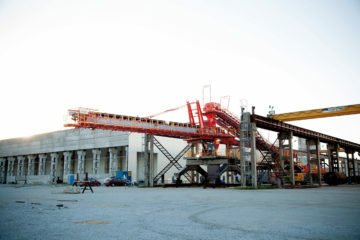 HS400 Stacker can be combined to fit any stockpile length. 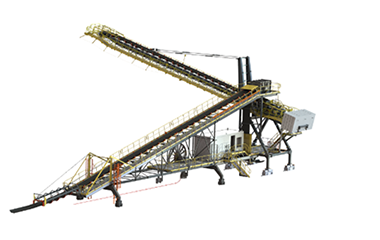 HS400 Stacker can stack chevron or cone shell type of stockpile. There are different power supply options available. Equipped with electrical safety devices to protect operators and structures. Delivered according to European Machine Directive. Boom conveyor is protected according to European safety standards and boom has anti collision system. HS400 Stacker is equipped with its own MCC/PLC and HMI, thus enabling fully automatic stacking and ensuring maximum 24/7 performance. Preassembly of boom or superstructure, automatic lubrication system, dust suppression system, outdoors installation, special wear plates, separate operator’s cabin, standard ATEX classification, bypass-car and different power supply.